Fidalina Rivas Osegueda, 82, was last seen at 2:30 p.m. Tuesday, July 3, when she walked away from her home. 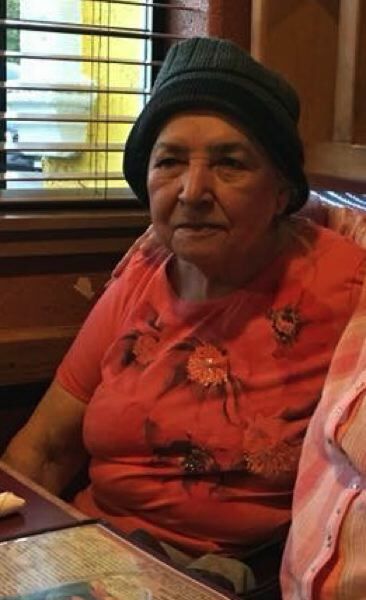 Beaverton Police are asking the community's help in locating Fidalina Rivas Osegueda, 82, last seen at 2:30 p.m. Tuesday, July 3, when she walked away from her home on the 7000 block of Southwest 130th Avenue. Osegueda suffers from memory issues. She likes to visit Don Pedro Restaurant in Hillsboro and is familiar with TriMet. She didn't take her cell phone and has limited resources. She takes medication but has not since going missing. Osegueda is 5 feet tall, weighs 110 pounds and could be wearing a red sweater, the brown hat shown in this picture, and carrying a brown purse. Anyone with information regarding Osegueda is asked to call Beaverton Police at 503-629-0111.